4 ft. - 6 ft. - 8 ft. Bowl. 4 ft. ledge with hips and metal edges. Kiddie Land! 6inch high rail, funbox, and mini-bowls. 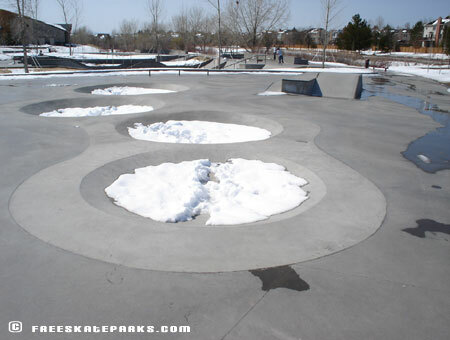 Arapahoe Skatepark includes a vert area that features a 4', 6', 8' bowl. 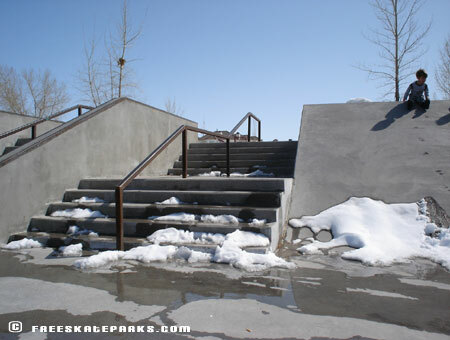 A grind area that includes rails, ledges, curved blocks, manual/grind blocks. 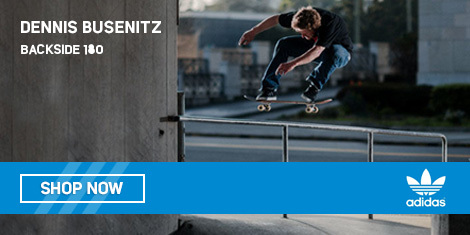 A street plaza with pyramid funbox, banks, ledges, steps, rails, and wallride w/ gap. 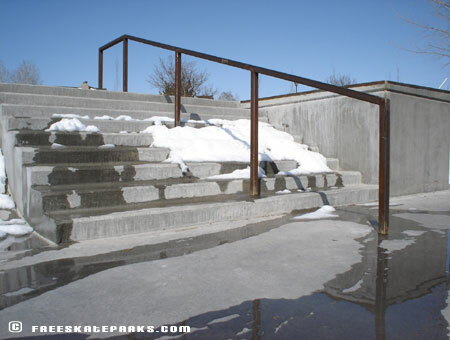 The beginners area has grind rails and curb, fun box and 1', 2' mini bowls. 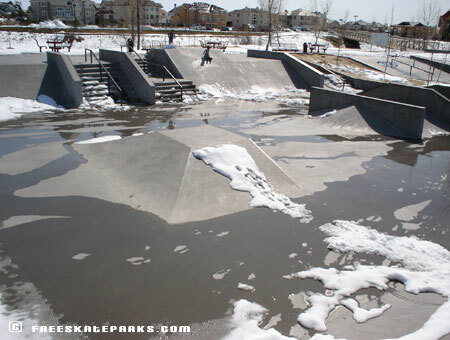 USE THE SKATEPARK AT YOUR OWN RISK. 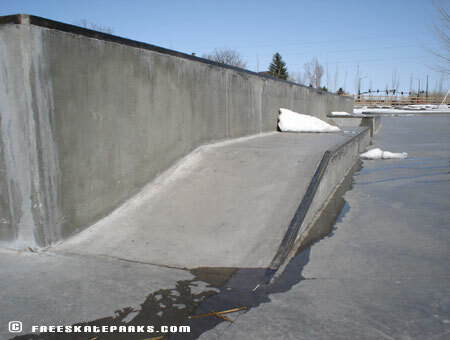 THIS SKATEPARK IS A NON-SUPERVISED FACILITY. BE ALERT AND USE COMMON SENSE. 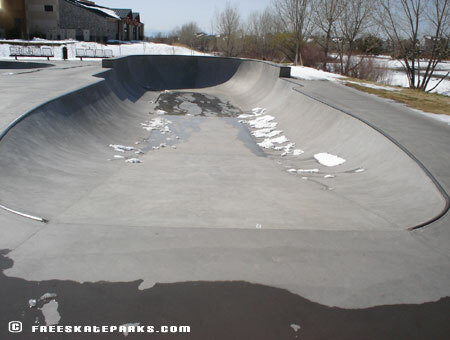 The skatepark is open daily from 6am to dusk. It is unlawful for any person other than authorized personnel to enter or remain in the facility beyond the posted hours. The use of appropriate safety equipment such as HELMETS, knee pads, elbow pads, wrist pads, gloves, and proper shoes is STRONGLY RECOMMENDED AT ALL TIMES. CAUTION: SLIPPERY WHEN WET - Weather and lightning conditions may cause unsafe surface conditions. 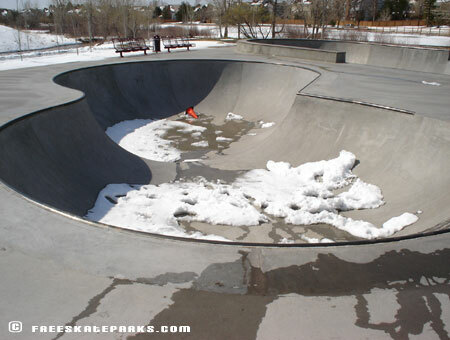 Skating is not recommended in these conditions. Destroying or defacing public property, including the application of stickers, or graffiti, is prohibited. Littering on surrounding property is prohibited. Be courteous to others. Users must be under control at all times. 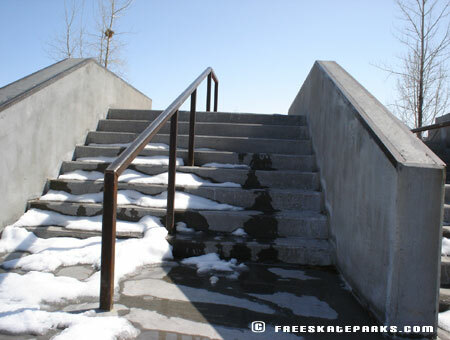 Uncontrolled skating and other activities that endanger others will not be tolerated and will result in ejection from skatepark. The Arapahoe Park and Recreation District has the right to close the facility without notice. No glass containers. Keep food and drink items off the skate surfaces. Put all trash in receptacles. Use of drugs, alcohol, and tobacco products are prohibited. No wheels over 20" diameter in the park. Modifications to any elements is prohibited. No motorized equipment is permitted. Use of profanity, fighting, deliberatley disturbing of peace is not allowed. No loud music is permitted. All animals must be on a leash and kept out of skating area. Permitting is required for special events throught the Arapahoe Park and Recreation Dept.